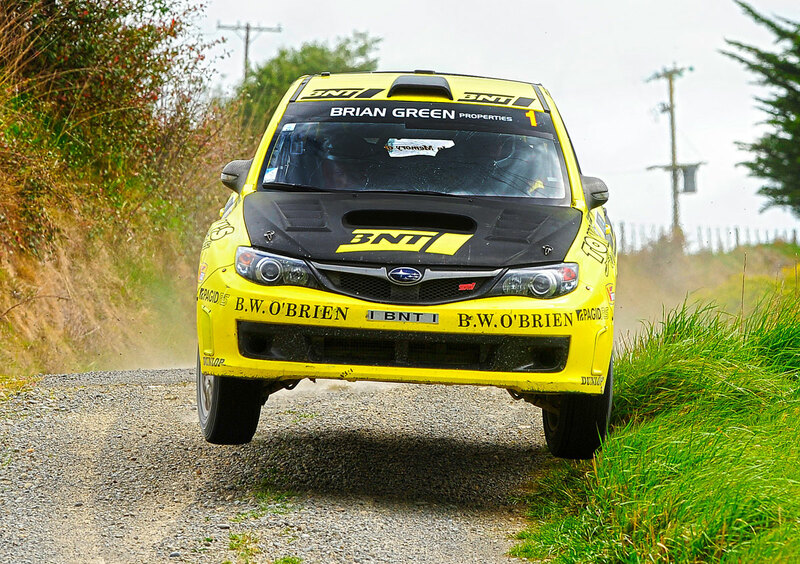 The 2017 Brian Green Property Group New Zealand Rally championship was touted as one of the most competitive in memory when the season got underway with Rally Otago back in April and seven months later, heading to the final round at Rally New Zealand this weekend, that has proven to be true. The last few seasons have seen titles wrapped up or the champion in waiting only needing to finish come the final round, but this year’s battle sees seven drivers in with a mathematical chance, and three drivers, Andrew Hawkeswood, Ben Hunt and Matt Summerfield, all with a very real chance of taking home the title. The trio are separated by just 11 points, with 44 up for grabs at the final round. Each of the three leading contenders are obviously keen to be crowned champion, with Summerfield knowing his dreams of moving his career forward rest on being crowned champion. “For us, we have to win it going forward, we’re kind of at a still point unless we win it so to put it bluntly if I want to keep going I’ve got to win the title. It’s a pretty good motivator,” says the 25-year old. Meanwhile at the other end of the scale, Hawkeswood has been on the national championship scene for more than 20 years, but is keen to tick off the big prize before calling it quits. “Quite probably, in the past I wasn’t really that focussed on championships. I probably didn’t want the championship as much as I do at the moment, I probably want it more than Matt and Ben. They’re both young, they’ve got another 10-15 years left in them,” says Hawkeswood. While with a title under his belt in 2015, Hunt has a slightly more laid-back approach as to why he wants the championship win. The form book from the 2017 season has done little to split the three. Hawkeswood has been amongst the fastest cars all season with only niggling problems holding him back from a round win to date. A pair of second places at Otago and Coromandel have been his best results this season. “We’ve shown speed all year, it’s only been stupid little things that have let us down. When the cars good, we can win stages so all we have to do is hold it together for a whole event and we should be in front,” explains Hawkeswood. Summerfield meanwhile has endured a rollercoaster season. Once again starting the season as a front runner, Summerfield’s season seemed to be over before it began with gearbox failure in the first stage of the opening round. He and co-driving sister Nicole were able to bounce back with victory at the next two rounds, pushing them into the championship lead at the half way point. That has certainly rung true for Summerfield, with an off-road excursion at Coromandel resulting in a DNF and technical problems at Rally Waitomo resulting in a seventh place finish. 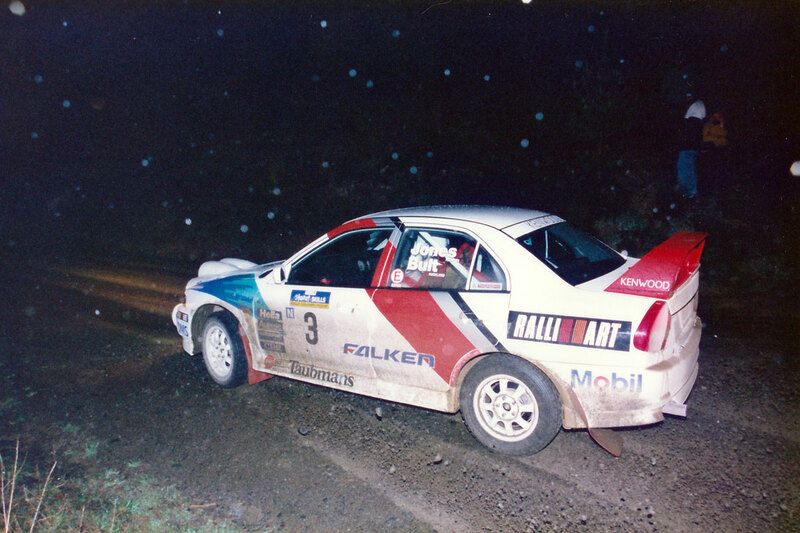 Hunt’s season started with car problems that meant he was somewhat uncharacteristically fighting outside the top ten at the opening round, however a podium finish at the third round, Canterbury, turned his form around, gradually improving into a victory at the latest round, Rally Waitomo. Crucially, Hunt is the only four-wheel drive car in the championship to have finished every stage of the championship so far. Not since 2001 has the series had three parties in with a real shot at the title. 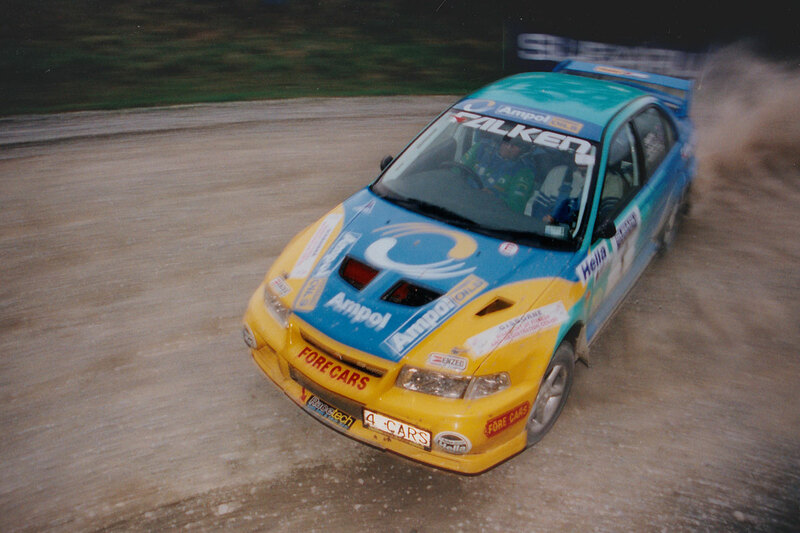 Defending champion Bruce Herbert had switched from the Mitsubishi Evo 6 that delivered his first national title in 2000, to the new ‘Bugeye’ Impreza for the 2001 season, but homologation issues meant he was unable to score points in the first two rounds. With only three rounds remaining, Herbert knew the maths to take a second straight title. “I was told that the arithmetic was simple, we just had to score every point available from every round in the remaining ones we had because we couldn’t score any in the first two, to the point where we actually insured the car for the first time out in case we totalled it. We had to be first of the championship cars home in Rally New Zealand. It was a brand-new car and $170 grand, so it took that out of the mind, I have been known to wreck a couple of good cars,” said Herbert, who would go on to take an at-the-time record four championships, all recorded consecutively. Entering the final round third, Herbert was chasing down a sizeable deficit to championship leader Lewis Scott, with Geof Argyle splitting the pair in second. But Herbert would not let a collision with a bridge stop him and went on to secure a championship that went down to the final stage. Another such thriller took place in 1995. Once again, Geof Argyle was in the mix with his Group A Nissan Pulsar GTi-R, up against the Subaru WRX of Greg Graham and Mitsubishi Evo 3 of Reece Jones. 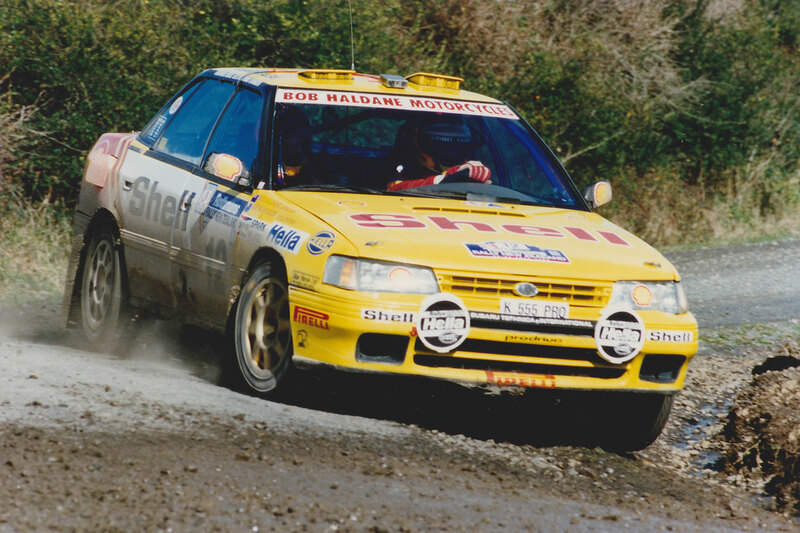 Ironically, the Waikato Rally that would make up the final round of the 1995 season used a lot of the roads that will make up day one of Rally New Zealand this year. The first half of the event saw tarmac stages and it was Graham who was the leading title contender, with Argyle having suffered a driveshaft issue in the morning, while Jones was hovering around the third place required for the title. However once on the gravel, Argyle charged into the rally lead, a position that would’ve secured him a first title. 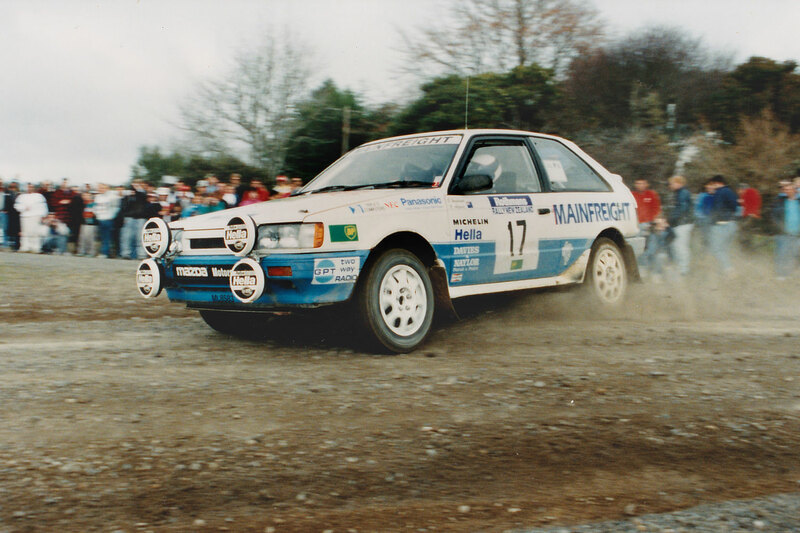 But almost within sight of the finish, a broken input shaft in the Pulsar meant Jones would be crowned the champion, the first time a Group N car would take the outright honour. The two-time champion sees plenty of similarities between what occurred 22 years ago, and how this year may play out. “We were at a little bit of a disadvantage at the time because we were trying to knock off the Group A cars, so here we are in a little Group N car and in a straight line the Group A cars would run all over us, so we felt a bit vulnerable in that respect. But in saying that the Group N car was ultra-reliable and we thought that perhaps the fragility of the Group A car in those days could be to their detriment. I think it was two stages from home, Geof Argyle was in the Nissan and he dropped the clutch on a really grippy surface and that was it. The Group A fragility, because some of the cars back in those days were pretty wild, worked in our favour. Jones touches on a point that several former champions claim will be crucial for any of the three drivers to claim the title, with three-time champion Neil Allport stating his thoughts on what will be the crucial factor in the title fight. “You’ve got to drive that rally with the idea of finishing as well as you can, but you’ve got to finish and let the points take care of themselves from there,” adds Bruce Herbert. One factor that may work in Hunt’s favour is the fact he has won the championship previously. He recalls the 2015 Rally Wairarapa, where he secured his first championship after a dominant performance across the season. “Thinking back to 2015, we won four rallies and had a really good lead going into the last rally but I tell you what, that was the hardest bloody rally I’ve ever had to do. I thought my heart was going to jump out of my body six or seven times and the only time I damaged a panel on that car was on that rally. It was bloody hard just finishing that rally trying to win the championship. I know Andrew’s had a lot of experience but trying to win your first NZRC championship, it’s not a small feat,” Hunt recalls. Five-time champion Richard Mason believes Hunt does have an advantage in that respect, but believes Hawkeswoods experience is just as likely to come in handy when it comes to the crunch. “He will probably be a little more understanding of the pressure, but it certainly wouldn’t be fair to say that Andrew is any kind of rookie, I can’t see him being too phased pressure wise by anything. Ultimately Andrew is still on the pace, so he’s just as likely to win the event as anyone,” says Mason. Those sentiments are echoed by three-time champion ‘Smokin Joe’ McAndrew, who like Hawkeswood has a reputation for spectacular driving. “Yes, I’d say (it’s an advantage), but it doesn’t make it a foregone conclusion because of that. He’s been at the bottom of the heap again and he could possibly make it work for him in a you’ve got to lose one to win one kind of way. The rest of them are fighting over the championship that they want,” says McAndrew, who has gone on to great success in Marathon rallies around the globe since the turn of the millennium. A factor that each of the three championship contenders will have to manage is the roads beneath them. Roads like Whaanga Coast, Te Akau South and Manawahe have caught out several world champion drivers over the years, so what influence will they have on the outcome of the championship? “The challenge is part of it, you’ve got to take a few risks to gain a few seconds and it’ll just be a bit of luck on the day for the person who managed to do the job. There’s no point thinking I can’t cut a corner or any of those things, something can trip someone and someone else will get away with something on the same bloody corner. Whaanga Coast is a tricky piece of road but I used to love that stage, it’s so demanding and tight and a lot of work. Really at the end of the day the work you put in is what you get out of it,” says McAndrew. Another factor to manage amongst themselves will be their own mental states. 1998 & ’99 champion Geof Argyle explains how simple it is to fall into the trap of worrying what your closest competitors are up to. “You’ve got nerves and your listening to the car and making sure everything is 100%, but you’ve got to approach it no different to any other event and focus on the job at hand. You’ve got to put your best foot forward to be in the picture at the end of the day and not make any mistakes,” adds 2004 champion Chris West. With so many factors to manage on top of being the fastest driver out there, each of the championship contenders is hardly likely to be having the most relaxing weekend rallying, but by the end of the weekend, one driver will take the ultimate reward in New Zealand rallying. Knowing just what is at stake, Reece Jones makes a final comment that sums up just how exciting the final round will be.